BioWare posted the second blog on advance class changes. This blog discusses the Shadow/Assassin advance classes. From the blog, it states the biggest change had to deal with Recklessness/Force Potency. 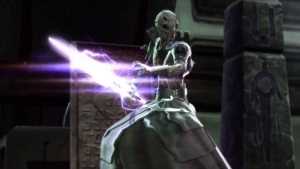 It now will have the chance for critic on many of the channeled abilities (examples from Assassin’s: Force Storm, Innervate, Force Lightning, Depredating Volts and the mirror abilities on Shadow). 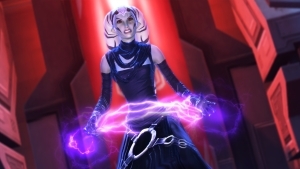 There are lots more abilities, utilities and changes found on the SWTOR Discipline blog. Be sure to read up on all the coming Shadow/Sorcerer changes and stay tuned for other blogs informing us about changes coming in 3.0 to the other advance classes. The next blog posted by BioWare talks about the Sage/Sorcerer changes in these advance classes in upcoming expansion. The base changes are found in the Assassin/Shadow blog. One of the biggest changes I noticed is that almost every healing ability has been moved to the Healing spec. This means Sorcs/Sages will not be switching to “heals” mid-fight like in flashpoints etc. I have been leveling my sorc trying to not use heals since this will be changed when 3.0 hits. There are many different abilities listed in this blog. 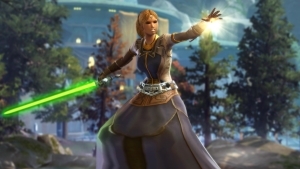 Besides reading about each new ability, in detail, be sure to watch the latest SWTOR stream video and see some of the new animations for these abilities. 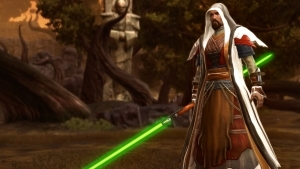 The Sages/Sorcs received a new passive abilities one that will reduce Force needed when using Force abilities by 10%. The other interesting ability is associated with the new utilities. It is a group utility and increases Strength, Presence, Aim, Cunning, Endurance, and Willpower for you and your Operation group members within 40 meters by 10%. The increase will last 10 seconds, according to the developer blog. That is a very nice buff that Ops groups can utilize during boss fights. Like the earlier blogs on 3.0 changes, there is a lot of information to take on each class/advance class. Be sure to read up on all the upcoming changes for Sages/Sorcs and stay tuned for other blogs informing us about changes coming in 3.0 to the other advance classes. On November 13th, the Advance Class streams by SWTOR on Twitch continued with the newest one focusing on Sith Inquisitor/Jedi Consular. The stream went through and demonstrated the changes coming in 3.0, specifically the ones around the Disciplinary system. The stream first went through the three specs of both advance classes Sith Inquisitors. Next they switched over and showed the specs for both advance classes for Jedi Consulars. There have been a lot of new changes, the idea behind some of the changes were to give these classes/advance classes to provide more mobility. There is really a lot to take in from this stream and I would recommend checking out the video on the SWTOR Twitch channel*. Here is a link to the schedule for the live stream events. We’ve isolated the problem with the vanishing NPCs. It’s a server-side problem, and we are going to look to address it towards the end of next week. Looks like those “hidden” NPCs in your Strongholds will be reappearing by next week. This week our video is just a fun music video set in the SWTOR galaxy. The guild, Blood Bath and Beyond from the Harbinger server have posted this music video. It is set to the Van Halen song “Jump.” The song alone, has this video equaling fun but add in a bunch of guildies dancing around Ord Mantel and you have one entertaining music video. 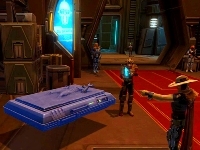 It might not be a guide or help with gearing your toons, but it does show the importance of enjoying yourself while playing SWTOR. Log in and have some fun.